Ordo Astri is the publishing imprint for books designed to assist in the path of initiation into Esoteric Thelema. All books listed below are written by Oliver St. John. This collection of 36 monographs serves as a well-rounded introduction to the Law of Thelema. ‘Lapis Philosophorum’ redefines the magical philosophy of Thelema, liberating it from the accretions of the past as well as those of the modern age. ‘Babalon Unveiled!’ forms the centrepiece of this collection and is one of seven related studies on the mystery of the Scarlet Woman. Each shows an aspect of her oracular voice as it has been heard and recorded down the ages. ‘Angels of Sacred Dance, Love and Whoredom’ examines how the divine feminine of pre-religious antiquity was demonised, resulting in a host of ‘fallen angels’ whose identity is yet preserved, albeit under a heavy veil in traditional Qabalistic texts.The book is dedicated to the memory of Rose Edith Kelly, otherwise known as Rose Crowley or Ouarda the Seer. Rose was the medium and intelligence for the transmission activated through the Stele of Revealing in the Cairo museum in 1904. Read the full description here at Ordo Astri. Format: 6 x 9 hardcover, dustjacket; blue linen boards; gold foil stamp lettering on spine; white end papers. Second Edition (2019), updated, illustrated and expanded to conform to the Esoteric Doctrine of Thelema. Initiation works through the formula called the Enterer of the Threshold. The Probationer must enter the pyramid of Malkuth from ‘outside’ to truly become a Neophyte. They must square the infinite circle of all that they are and can ever be. The 0=0 is the most important grade in the Order because it lays the foundation and provides the magical link between the outer world of Darkness and the interior world of Illuminated Souls or inner plane Adepti. It is the aim of magick to forge contacts with the latter. The Probationer degree is all about the circle of the infinite—for it has no number or sephira. This is not something that only concerns the Probationer that is awaiting full admission to the Order, for the squaring of the circle applies to every grade and every sephira of the Tree of Life. Circle of the Place; Microcosm; Intelligence of Luminosity; Occult Science; Hermetic and Brotherly Love; Esoteric Doctrine of Thelema; Astrosome; Lesser Ritual of the Pentagram; Quantum Yoga, Way of Esoteric Thelema; Logos Method of Meditation; Secret Serpent; Art of Recollection; Art of Invocation; Song of the Stele; Keeping of the Record; Thelemic Calendar (reformed Anno V–5); Feasts of the Times; Tree of Life; Da’ath; Tree of Life Correspondences; Oaths and Tasks of the Grades; Curriculum of the Golden Dawn; Temple in the Grades. This book redefines the Magick of Light. Liber CMXXX is the rite of admission to the first degree in the Golden Dawn of a Thelemic magical Order. It is the key to forging the correct inner plane contacts. The first degree is that of Neophyte 1=10, corresponding Qabalistically to Malkuth. The most important Initiations are those that take place on the central or middle pillar of the Hermetic Tree of Life. We therefore include with this book the admission to the grade of Zelator, The Ceremony for making the Khu perfect or Liber XXV, and Liber Zain, a modern version of the Bornless Ritual to attain the Knowledge and Conversation of the Holy Guardian Angel. The three ceremonies of initiation each come with new or extended commentaries. The ‘flashing colours’ are particular to the Magick of Light that is, in turn, the central operational factor in theurgical rites. The diagrams and illustrations, reproduced in colour, are integral to this book. A discursive commentary and background to The Phoenix can be read here. The Flaming Sword consists of more than 1000 pages, in two volumes. In addition to the substantial Sepher Sephiroth there is an introductory guide to the use of the book, tables of Hebrew, Greek and Enochian values, prime numbers, and a complete set of Magical Kameas with corrected and redrawn planetary seals and sigils. The Flaming Sword is the result of many years of practical work and research by the author. Greek words from the New Testament and Hermetica are included, in addition to the usual Hebrew words; the entire Enochian vocabulary of John Dee is included, as well as Latin, Sanskrit, Arabic and ancient Egyptian. Where appropriate, Gematria with detailed Qabalistic notes has been provided. The book also serves as a veritable grimoire for those engaged with the more specialised work of the Egyptian Book of the Law, Liber AL vel Legis, and the Thelemic or ‘93’ current. The Flaming Sword provides multiple solutions to all of the riddles of Liber AL, as well as some of the most cryptic passages. See more detailed information about The Flaming Sword here. The Kemetic and Thelemic stellar rites of the Order are collected together here in nine volumes, taking the aspirant from Probationer to Adeptus Minor and beyond. The Sixth Edition of the book contains an entire volume of Enochian Magick, including a detailed guide to initiation and the system of Thirty Aethyrs, as well as an exposition on Enochian Sexual Magick. The book now includes many advanced operations, such as Goetic Evocation and a full ceremonial Thelemic Mass—which now includes the Song of the Stele of Revealing. The rituals and other practices are accompanied by lucid explanatory texts and are illustrated throughout. Ritual Magick is a lavish and beautifully presented book with full-sized fine art drawings and hundreds of graphic illustrations and diagrams. Here is a complete course in Hermetic Magick, covering the extended use of elemental mudras or Godforms, meditation and Tantra-yoga, plus examples of simple and advanced magical rituals. The book also includes a complete guide on how to make and charge magical talismans, with illustrations of the Kameas or Magic Squares and sigils of the planetary spirits. When approached in the right way, divination is a magical means of opening and extending lines of communication between the temporal and eternal worlds. The most important function of the Tarot, however, is as an Initiatory device. The core of this book is the Grand Tarot Operation, a 30-day Theurgic operation aimed at mystical and magical initiation. The book includes more than 20 photographs of the elemental mudras or Godforms being correctly performed. Format: 6 x 9 paperback or hardbound format: 6 x 9 dustjacket; blue linen boards; gold foil stamp lettering on spine; white end papers. View / buy paperback book from the author’s website. View / buy hardbound edition here. The Mystic Tarot and the Trees of Eternity is an advanced, visionary treatise on the Tarot. Each of the twenty-two chapters is divided into two sections, the Light-path and the Night-path, and is headed by a luminous commentary on the relevant Qabalistic text from the Sepher Yetzirah. The methods include Theurgic, Goetic and Enochian magick. Following Tantrik tradition, the book’s narrative is centred on the ‘Island’ to the west of St. Ives in Cornwall. The book thus has a distinctly elemental nature, reflective of changing weather and seasons as focussed through the lens of Tarot and Tree of Life correspondences. The book embraces the work of Aleister Crowley as well as the Nightside or Typhonian conjurations of Kenneth Grant, providing rare insights into the interior magical worlds of Thelema. View / buy paperback from the author’s website. View / buy hardback from the author’s website. Format: 6 x 9 high quality paperback or hardbound format: 6 x 9 dustjacket; blue linen boards; gold foil stamp lettering on spine; white end papers. With this book, the author discloses the Quantum Yoga treatise, or “Reification of Starlight”, that was not included in The Ending of the Words, first published in 2007 e.v. The work was tempered by correspondence with Kenneth Grant, who inspired the experimental magical operations that led to the book’s conception. In the words of the author, the Law of Thelema—Quantum Yoga, presents “the secret teachings of the Typhonian Tradition, heretofore never revealed”. The text to The Ending of the Words has also been updated to include the events of 2015 e.v. that fulfilled the prophecy encrypted in the third chapter of the Egyptian Book of the Law, Liber AL vel Legis. Format: 6 x 9 Hardbound, dustjacket; blue linen boards; gold foil stamp lettering on spine; white end papers. View / order book from author’s website here. This book sets out to explain what Kenneth Grant’s cosmic vision is really about. We know that American writer HP Lovecraft had no mystic pretensions, though he did say the dream that inspired the short story Nyarlathotep “might have been prophetic”. 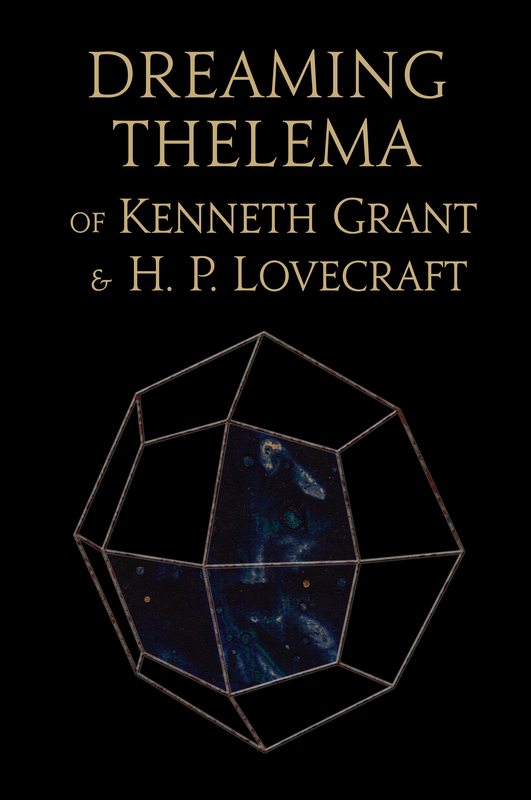 Grant made much use of Lovecraft’s work, using it to reformulate the ideal of Thelema. 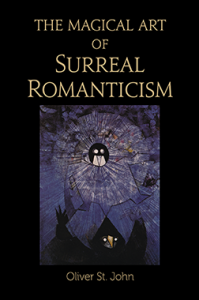 The book is primarily concerned with art and magick; it is not a book about art, but a book that is a work of art in itself, featuring seventeen full colour reproductions of Surrealist paintings created as part of this unique project. Also included are three complete short stories by HP Lovecraft: Nyarlathotep, The Crawling Chaos, and The Haunter of the Dark, plus a reconstruction of the Lovecraftian Necronomicon. For more detailed information about this book, and a preview of some of the artwork, see our post here. The book is an in-depth illustrated study that takes in the use of occult methods such as automatism in the arts and literature, and compares the results with the Left-hand path or way of retroversion of the senses as termed by Kenneth Grant and typified by the work of artist Austin Osman Spare. True automatism is an inexorable condition of mind and soul that to all intents and purposes is exercised outside and beyond the will of the person, whether they are destined to become a master, a magus, or merely another victim swallowed up by an incomprehensible universe. Automatism was not an invention of the Surrealists, or of Sigmund Freud, but has always existed in magick and alchemy. In many respects this book is a vindication of the work of English scholar and mystic, Thomas De Quincey, who spoke of a more sublime form of divination by which magnetism may call up from the darkness, “sentiments the most august, previously inconceivable, formless, and without life”, so exalting their character as to “lodge them eternally in human hearts”. The book includes six high quality full colour reproductions of fine art, including rarely seen drawings and paintings by Austin Osman Spare and Ithell Colquhoun. 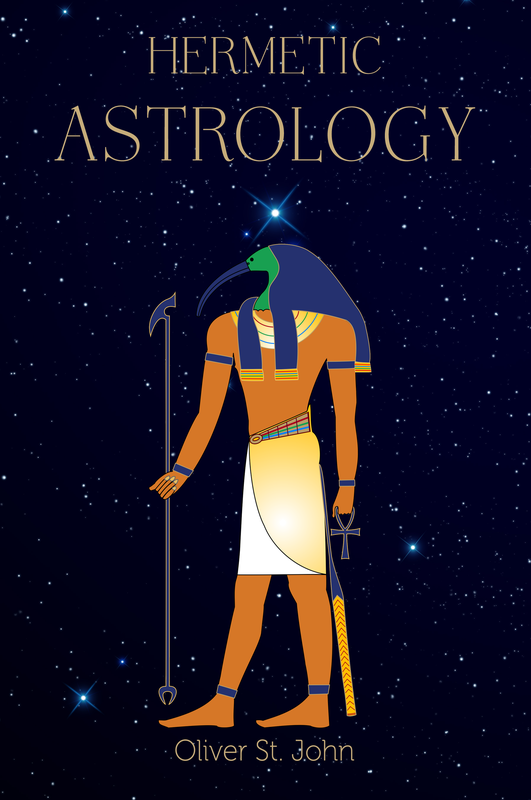 The primary aim of this book is to explain esoteric or magical astrology in a simple and concise way. The veriest beginner will quickly gain an understanding of their natal horoscope, while those already well-versed in the subject will find here magical and esoteric applications for the art that rarely, if ever, appear in textbooks on astrology. Here is a complete course in astrology covering astrological symbolism, chart interpretation, the dignities of signs, houses and planets, aspects and astrological timing. Esoteric knowledge is revealed concerning the Part of Fortune, the Dragon Stars or Nodes of the Moon, the Egyptian Ka or double, the Holy Guardian Angel and the Evil Genius, Outer Gateways and the use of the natal chart as a Master Key of Life. View / buy hardbound book from the author’s website. Hermetic Qabalah and Initiation Workbook are placed here under one cover in a portable paperback format. Herein is the key to spiritual alchemy and the operation of tantrik magick and yoga: the Tree of Life is seeded in the astrosome of the magician so the rituals and practices are a gateway to true knowledge. The Qabalah is the framework for magick, including astrology, tarot, gematria, talismans, meditation, invocation and evocation, the pentagram and hexagram, elemental weapons, the sphere of sensation and the astral plane. The Hermetic Qabalah is seamlessly integrated with the one-year practical coursework through ritual meditations upon the paths. Preliminary work includes the Wisdom of Breath, Ritual Sonics, Assumption of the Godform and a powerful variation of the Lesser Ritual of the Pentagram. The student then moves, step-by-step, towards creation of an astral double as a medium for forging the inner plane contacts that make real initiation possible. The 2016 Revised Edition is available in perfect bound paperback (Crown Quarto) and in a full colour Special Edition (Crown Quarto). The book’s first (2007) edition is also available as an Amazon Kindle eBook. The Ending of the Words examines Liber AL vel Legis, the magical transmission received by Aleister Crowley, through the lens of practical research. The book introduces the Law of Thelema, as given by the goddess Nuit to a Theban priest, and places it in the context of the ancient wisdom tradition, as well as that of an atomic age. The Ending of the Words is a unique publication offering direct insights into the magical Law of Thelema, and an open commentary on esoteric knowledge that has for centuries been kept hidden from the public eye. The book includes a comprehensive glossary of Egyptian, Qabalistic and Thelemic terminology essential to the study of the Book of the Law. Note: The revised content of this book is included in The Law of Thelema—Quantum Yoga (see above). The latter includes, in addition, the complete “Starlight Reification” papers. View / buy book from the author’s website. Format: Crown Quarto pefect bound paperback with black and white illustrations; Crown Quarto Special Edition perfect bound paperback with full colour internal photographs and graphics on high grade white paper. The Tantra of the West is here revealed to the practical Thelemic magician through seven rays of the Dragon Star. “Hail! ye twin warriors about the pillars of the world! for your time is nigh at hand.” Who or what, then, are these twin warriors? They have arisen and are entwined about the axis of the universe; they manifest all phenomena. The division invoked by a magical Act of Will may arise as a dual force, symbolised on the Tree of Life by the two pillars or Moon and Sun of dreaming and waking consciousness. Liber 373 is suitable for the Thelemic aspirant of the grade of Philosophus, or anyone that dares to know, to will and to keep silence! It is also a course in magical Initiation that includes knowledge lectures, rituals, yoga, meditation, invocation, skrying and tasks to perform. Included here is also a newly revised version of the book concerned with the Dedication of a Sanctuary or Temple. The second number of Stella Tenebrae, Journal of Hermetic Magick. There is an emphasis on practical magick while a strong prophetic or oracular sense underscores some of the writing. There are full-length essays as well as knowledge papers. The practical work is supported by explanatory texts and related pieces. 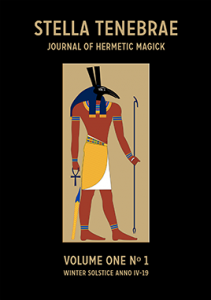 Contents: The Aeon of Hormaku; Cults of the Fire Snake; Thoughts on The Law of Thelema—Quantum Yoga; Starlight Reification; The Alchemy Thoth Tarot Spread; Geomancy; The Saturnian-Uranian Current; The Enochian Ritual of the Pentagram; Ritual for Psychic Self Defence; The Kemetic Pillar; The Star and Snake; The Lord of the South; The Mystic Mass of Hormaku; Sexual Magick: the Real Secret; The Lunar Zodiac. The creative stream issuing from the Thelemic current or Hermetic Light cannot be set in stone tablets for all time—our methods and rituals are constantly evolving. This, the first number of Stella Tenebrae—Journal of Hermetic Magick, contains twelve essays and is fully illustrated throughout. 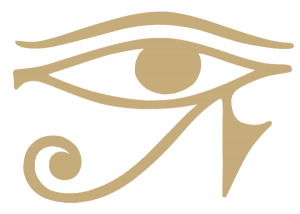 Subjects include the Qabalah, Extraterrestrialism and subconscious dream control or automatism, Tarot, Egyptian Gods and the Sethian Gnosis. The final piece, Lost Words of the Aeon, is the background story to the writing of The Law of Thelema—Quantum Yoga, our commentary on the Egyptian Book of the Law, Liber AL vel Legis. Format: A4, perfect bound paperback. All books on this page can be ordered direct from the author’s website by following the links given here. Most of these books may be purchased there with a discount. Proceeds of the sales of our books help to fund Ordo Astri. Subscribe to our monthly Journal, The 93 Current here. The Journal is free of charge and is delivered by email.